As I sit here writing this on the Day of the Dead, I can’t help but think of life giving trees. Perhaps Paul William’s and Barbara Streisand’s Evergreen is in my head from seeing the latest A Star is Born, or perhaps it’s the fall foliage and impending winter that has my mind on the subject. You may be tired of hearing me pine on about my love for them, but it’s truly a lifetime love affair. After all, I’m a seventh generation East Texan and pines are East Texas. Other states are taken aback when we subdivide Texas into different regions, but we are too big and too different to lump into one. Therefore it’s extremely common to introduce oneself as being from West Texas, North Texas, Central Texas, South Texas, and in my case, East Texas. We even go beyond that with Hill Country, Panhandle, Rio Grande, etc. Heck in East Texas we often break it down farther into Northeast Texas, Deep East Texas, and Southeast Texas. Among a plethora of other things, each of these many regions in Texas is defined by its people, politics, and plants. Somebody else can deal with the people and the politics. I’m sticking to plants! And although the Illustrated Flora of East Texas labels 87 counties as “East Texas,” I’m sticking to my roots and going with the 30 or so counties in the Pineywoods ecoregion. In other words, “If it ain’t pines, it ain’t East Texas.” That means an odd meandering line generally east of the Trinity River (depending on the soil) and north of Houston. This line is easier to follow from an airplane and was always plainly visible as I headed to Texas A&M and later San Antonio on Highway 21 as I headed south of Crockett with the tall, dark green pine curtain gradually disappearing off to my left. It was always literally like leaving a piece of me behind. And there’s a good reason for that. From the time I was born, my life has literally been defined by pines. Almost all houses and wooden structures in East Texas are built out of pine lumber. I played under pines and raked pine straw for pocket change growing up. I got pine sap stuck on my hands and clothes. When I stayed at the farm with my grandparents my Grandmother Emanis cleaned the house with Pine-Sol and treated my ant bites with turpentine both made from pine trees. My Pappaw assigned me the chore of gathering fragrant, resinous lighter pine as kindling for building fires in the fireplace and wood heater. Little known to me, I even drank glycerol ester of wood rosin from pines when I downed Fanta orange drinks at my grandparent’s little country store. 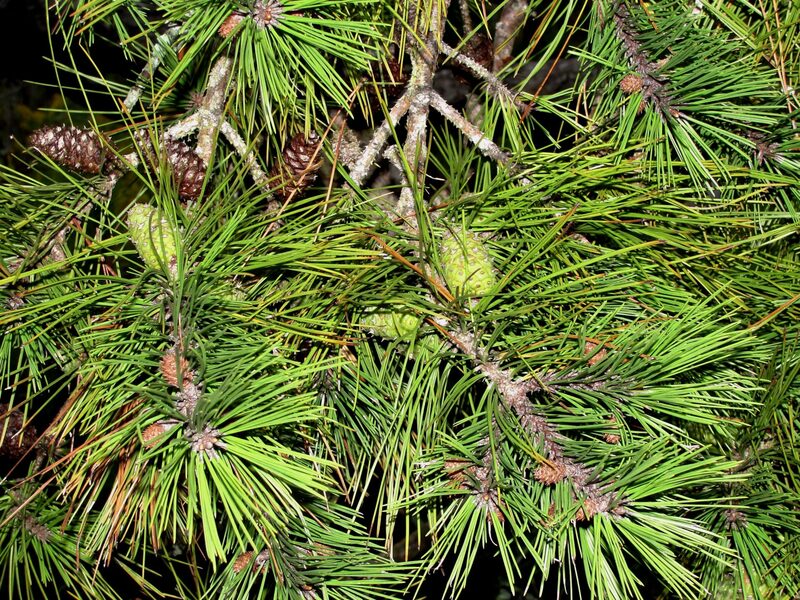 Many folks raised in East Texas grow to dislike pines with lots of self absorbed nonsense about pine sap, pine pollen, pine cones, ice laden branches, raking straw, etc… On the other hand, I love the way they look, the way they smell, and even the way they sound. There’s nothing like the sound of the wind whispering through the pines. And in my biased opinion, pine straw is the best garden mulch of all. I’ll be the first to admit that I didn’t know I was in love with pines until I left them for College Station and later San Antonio. But it didn’t take me long to figure it out. You know the old saying… “If you love something, let it go. If it returns to you, it was yours; if it doesn’t, it never was.” The pines may not have returned to me, but I certainly returned to them. 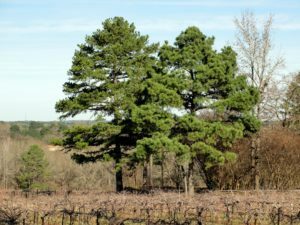 Thanks to widespread deforestation through timber harvesting around the early 1900’s and the subsequent spread and replanting of loblolly pine, today one would get the impression that East Texas is home to only one pine species. But that certainly hasn’t always been the case. Before they were pretty much all harvested, East Texas was home to three species of pines almost divided up into thirds with shortleaf pine (Pinus echinata) on the hills in Northeast Texas, longleaf pine (Pinus palustris) in the sandy soils of Deep East Texas, and the less fire resistant loblolly pine (Pinus taeda) in moist bottomlands and near water. 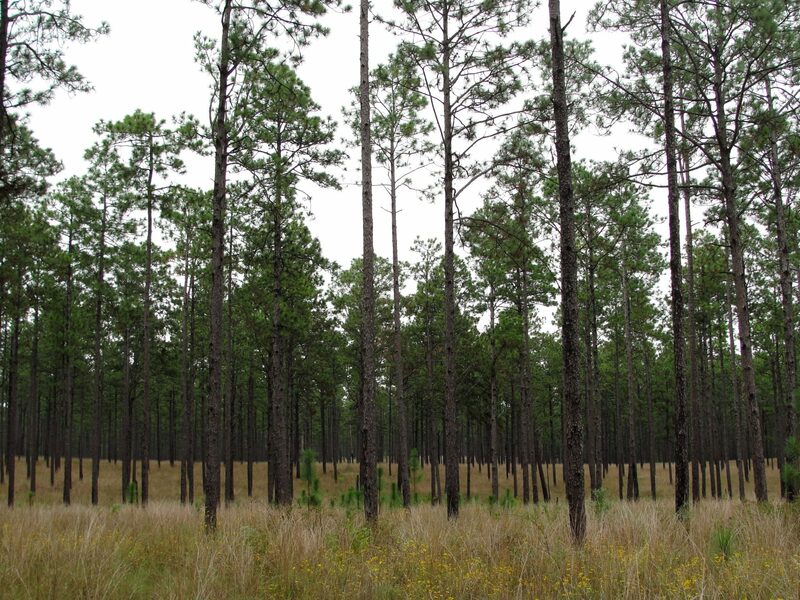 I love all three species and have planted 8 acres of loblolly and 20 acres of longleaf which collectively I refer to as my Rebel Eloy Emanis Pine Savanna and Bird Sanctuary. My hope is to one day add a shortleaf pine savanna so I can showcase all three native East Texas pines above native grasses and pollinators. 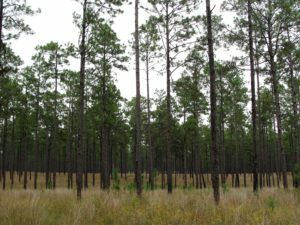 Last month I attended the Longleaf Alliance conference in Alexandria, Louisiana and got to visit some beautiful longleaf pine savanna habitat at Fort Polk and the Kisatchie National Forest. 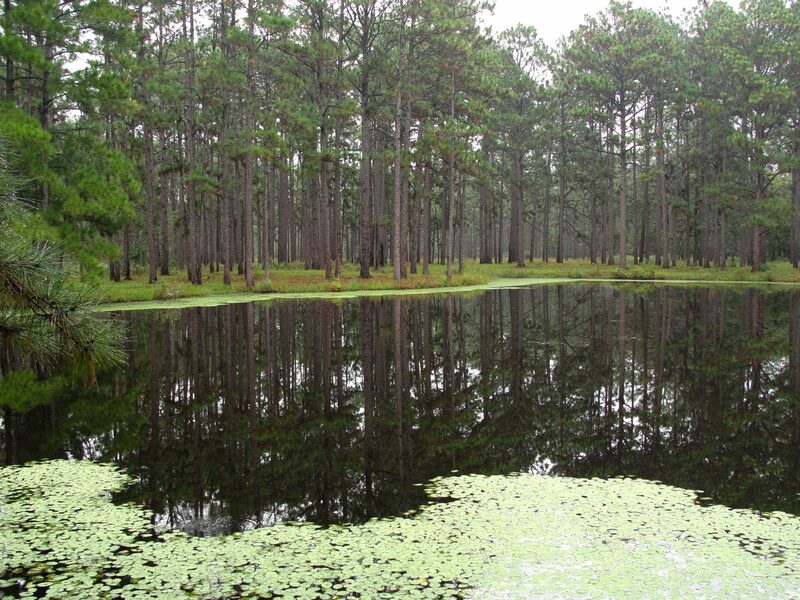 Similar beautiful longleaf exists in the Angelina National Forest in Texas. These scenes never cease to inspire me and rekindle my love of pines. If you are interested in longleaf restoration or even the story of this once amazing 90 million acre ecosystem visit https://www.longleafalliance.org/. 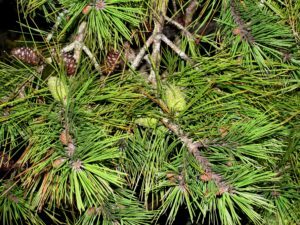 A similar effort is ongoing to restore shortleaf pine habitat. You can read more about it at http://shortleafpine.net/shortleaf-pine-initiative. 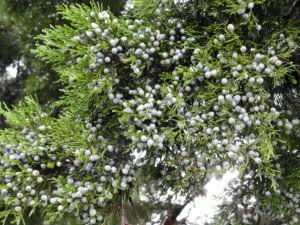 Evergreens have been important in most cultures throughout history for reasons of both life and death. And though eastern red cedar (Juniperus virginiana) is a common East Texas native as well, I have to say stately pines are the ones that I can’t live without. After my own heart! Like you I grew up in pine country---Longleaf pine. My father's family had sawed and planed the giant trees, though they saved land where they could be sure no saw would go. I lived in a wooden house and would have built a wooden house had our architect not told us we could not afford to keep it up, given our siting and the nature of mildew on lumber today. We built a house in the middle of short-leaf pines, and that has cost a lot of money because of beetles, age, lightning, and storms. But I can't imagine life without pines. I have preserved a really big basket filled with the cones from trees from my home place. I've used the cones in needlework motifs. They have become analogies as well as realities to me. I'm glad to know others feel that way. Write more about pine forests, please.